A selection committee has recommended Edgemoore Infrastructure & Real Estate to design, build and finance a new terminal at KCI. After weeks of deliberation, Kansas City officials have recommended Maryland-based Edgemoor Infrastructure & Real Estate to design, build and finance a new, single terminal at Kansas City International Airport. The selection committee, comprised of airport officials and city council members, announced the decision Wednesday. The recommendation will now go to the full city council for approval. The potentially billion dollar project would be one of the largest in the city's history, if ultimately approved by voters in November. Four firms submitted proposals to the city: Burns & McDonnell's KCI Hometown Team, Edgemoor Infrastructure & Real Estate LLC, JLL (Jones Lang LaSalle Midwest LLC), and KCI Partnership LLC (AECOM Capital). For much of the selection process, the team led by Burns & McDonnell was perceived as the front runner. In radio spots voiced by Royals Hall of Famer George Brett, the firm branded itself the “KCI HOMETOWN Team,” promising to award contracts to women- and minority-owned businesses. 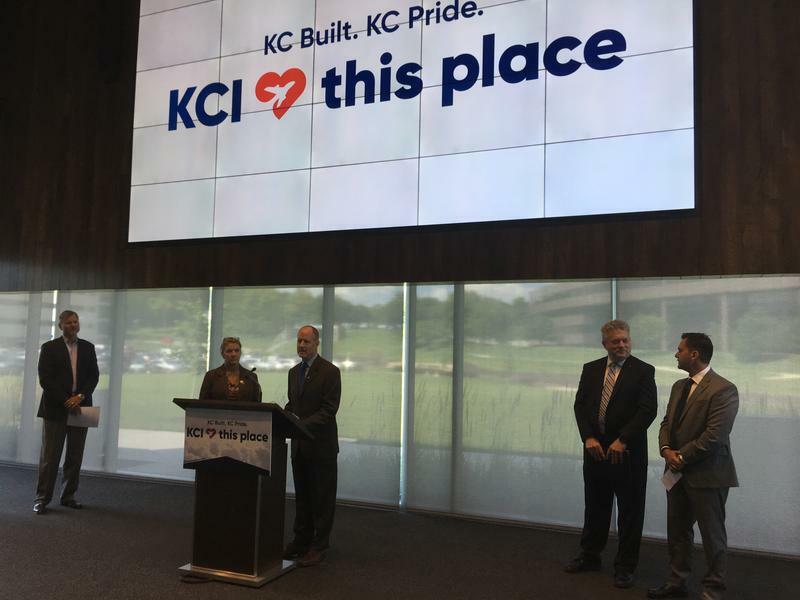 "We are incredibly proud of the great efforts of our KCI HOMETOWN Team and the commitment these 30-plus local companies, and their thousands of local employees, made to their hometown," Burns & McDonnell's team said in a statement following the announcement. "We know, like us, they are heartbroken." Before Wednesday's announcement, little was known about Edgemoor's plan. They are the only bidder that did not publicly release any information about their proposal. Councilwoman Jolie Justus, who was a member of the selection team, says Edgemoor was most willing to work with the city on design and financing. "Their proposal when it comes to financing was, quite frankly, the lowest cost option to the city. It provided the most flexibility and gave an option for more project and less cost to the city and throughout the entire process, their financing proposal preserves the city's credit," Justus says. Although the team did not submit any visual renderings of a terminal, Justus says the framework for the design is already set and Edgemoor is willing to collaborate with the city on the actual design. Each team was asked to submit a design for the airport similar to the one airlines and the city agreed to in 2015, known as "Exhibit L". The design resembles a capital H, with the terminal and concourse linked by a connecting bridge. The full city council could vote on the recommendation as early as Thursday, but several council members indicated they would like to discuss the recommendation at greater length first. Getting to this point in the process hasn't been an easy road. The procurement process has been mired in drama, with calls to restart the entire process as recently as Tuesday. Considering that, city officials acknowledged it's possible that one of the firms that was not selected could take legal action against the city. Updated, 4:30 p.m. Wednesday: The ethics complaint against Councilwoman Jolie Justus has been dismissed. A citizen filed the complaint on Sunday, alleging Justus had a conflict of interest serving on the airport selection committee because the law firm she works for, Shook, Hardy & Bacon, represented proposer Burns & McDonnell in litigation involving the Branson airport in 2013.